My mom sent me this article — What To Do in 36 Hours in Havana — in preparation for my upcoming visit to the island. It’s part of a New York Times series that looks at big cities around the world, I guess, and gives you an itinerary of things to do. To be fair, this article isn’t bad… it was simply the last in a succession of travel pieces which all seem to define Cuba in terms of its availability to Americans. Havana is no longer frozen in time, at least not completely. I don’t know a lot about Cuba. Let me get that out of the way up front. As an American, I’m too young to have experienced the great Communist threat or the embarrassment of the Bay of Pigs. As a German, I see resistance to the US as not such a bad thing and I certainly don’t believe that socialism is something terrible to be avoided (I may feel differently if I’d grown up in the East, of course). But I read these articles and it is like the only important thing in Cuba is the American experience. Start with what makes Cuba unlike any other Caribbean island: its record of unshakeable resistance to the United States. As if there were no culture there. As if until now the place was simply frozen in time, waiting for the Americans to arrive. Then I read the 36-hour recommendations. We start with a museum, which is nice, and then move to a restaurant where one should expect to pay about 60 Cuban convertible pesos (CUC) a night. The things-to-do continued with dance clubs, bars, and restaurants where the cheapest meal listed is breakfast at 10 CUC. I’m sure all these places are nice, but one of the things I do know about Cuba is that a monthly salary is around 30 CUC a month. 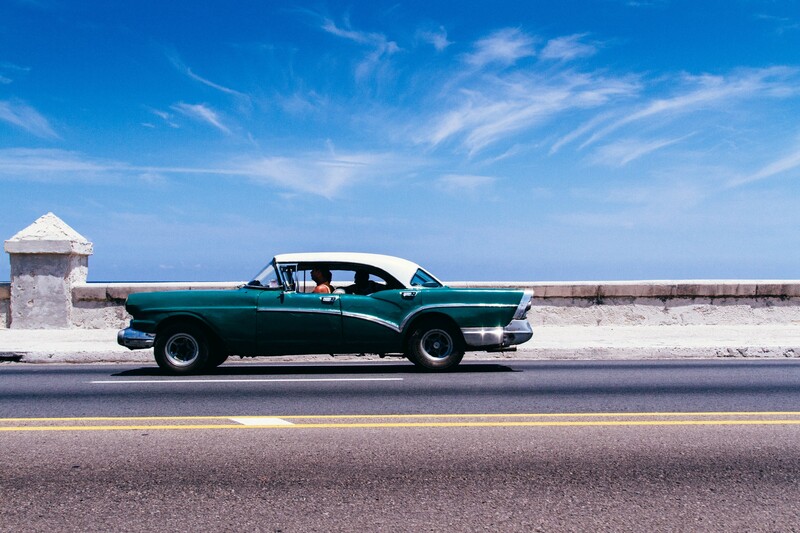 Now, the cost of living in Cuba is heavily subsidized. Housing, medical care, utilities and food are easily affordable. This is a communist society based on making sure that no one is starving or homeless or without water or power. So it’s not a question of poverty. But we’re talking about 45 CUC for lunch for two and 75 CUC for dinner followed by a place that charges 10 CUC per cocktail. If in 36 hours in Cuba I am spending the annual salary of the average Cuban, I don’t believe that I am experiencing Havana. I believe I am experiencing an exercise in ostentation. I believe, in fact, that this is really about trying to score points for capitalism. It’s all context, of course. We’ve spent double that on dinner in London, without having any need for guilt or explanation. But, and I know I’m on iffy ground here, if there’s only 36 hours to experience Havana, would you really want to spend your time at the restaurants that no one but the tourists can afford to go to? It’s like deciding to explore Southern California by spending 36 hours in Disneyland — sure, have a great time! It’s a fun way to spend a holiday! But don’t tell me you’ve experienced Los Angeles because I’m sorry but you haven’t. So I’m thinking now I want to try to make a really awesome 36 hours in Havana. Which in itself is hubris because who the hell am I to think I could do a better job of it than the New York Times. And it’s not like I know the city or can claim any authority on what RealCuba™ is like. But maybe what I can do is find a middle ground. Spend my morning in search of the best street coffee. Find pop-up restaurants in Cuban homes offering quality food that isn’t off the black market but what everyone else is eating too. I don’t need to spend a monthly salary to have a nice meal. And a key one for me is paying attention to the two currencies: the Cuban Convertible Peso, which is tied to the US dollar, and the Cuban Peso (CUP), which is at 25 to 1. The unusual scheme has been in place since the collapse of the Soviet Union. In 1993, after decades of benefiting from generous trade arrangements with the Eastern bloc, Cuba found itself desperately short of hard currency. With few other options, Fidel made the momentous decision to legalise the American dollar (possession of which had previously been punishable by prison). Dollar stores mushroomed to capture the money flowing in from newly welcomed tourists and Cubans living abroad. Meanwhile, all Cuban state workers were still paid a pittance (less than $20-worth a month) in the old Cuban peso. Initially the dollar stores sold only “luxuries”, such as perfumes and fancy kitchen utensils. But the Cuban government increasingly took to pricing anything from toothbrushes to cooking oil in dollars. In 2004 the greenback was officially removed from circulation, and replaced by the convertible peso. For Cuban shoppers this amounted to but a name change. I cannot TELL you how many people have told me that one doesn’t have to understand the local currency, one should just pay everything in CUC. Street food, fresh fruit drinks and peso bars and restaurants all work in local pesos, and yet travel guides write that the currency is rarely used by the vast majority of tourists. One person even told me they just paid the same rate regardless, seemingly unperturbed at paying twenty-five times too much. I have no intention of doing this. I don’t know. I’m probably being arrogant. But before I’ve even arrived, I feel like I want to defend Cuba from the glossy magazine pages promising extravagance in the midst of socialist success. Most of them are still describing the island as where “time stood still” as if the people there aren’t living and growing and real. Maybe the Havana I see will be exactly the same as they did, just without the black market steaks and lobster. Or maybe I’ll experience someplace altogether different. I’ll be just as much as an outsider to Havana as the person writing the article, I know that. But I would like to think I could get to know Havana best by being in the heart of it and unafraid to eat and drink and dance with the Cubans.